This is the resources section of the site. It holds tutorials and helpful info related to my scripts and mods, and basically anything Minecraft related that doesn't quite fit into the other sections. This section is a little bare right now, but I hope to have some more info added here soon. This section contains all the basic info and guides on how to use the different scripts and mods I have released on this site. This section contains a few basic online tools that may may be helpful, or just fun to play with. 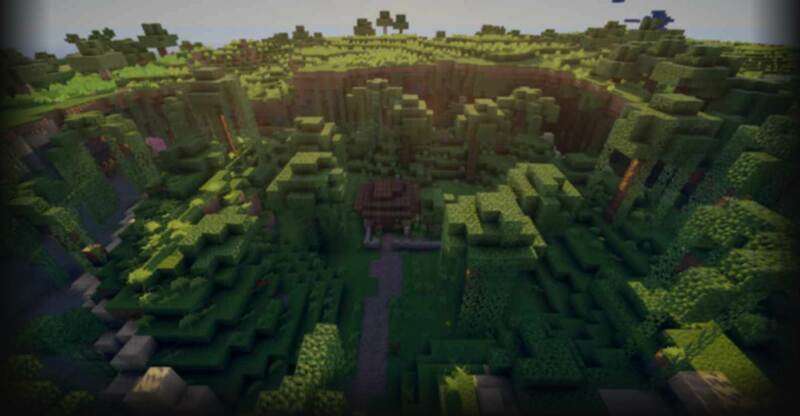 This section includes tutorials that are designed for new players to Minecraft, or just someone new to map making in general. *Note: All this info is from an old tutorial I had posted on PMC, as such some might be out of date or irrevelant now. This tutorial was created to answer some of the most common project related questions I see asked about Minecraft worlds. Most of this is very basic info that is intended to help new users who aren't familiar with how projects work. It will also include some tips, tricks and other things I have learned along the way. The third type is called a zip or rar file and is not directly related to Minecraft. These are compressed files that are often used to "merge" multiple files or folders into a single one for ease of sharing or storing. Once zipped, all you need to do is extract them to get the original contents. You may need an external program to do this if your OS doesn't have something built in. If you are using a schematic file I will assume you have MCEdit installed, if not, download and install it now. After you have it all setup, open the program and select the world from the list that you would like to add the schematic to (If none are on the list you will have to click the "Open a Level.." text and find it in the file browser.) After you selected your world and have it loaded you need to click the import button (little red crane) on the bottom right, find the schematic in the file browser and click open. It will load the schematic under the mouse allowing you to move it around. After you place it in a good spot, click the import button to complete the operation. Now hit Ctrl+S to save the world, then Ctrl-W to close it, after which you can exit MCEdit. That's it, all you have to do now is open the world in Minecraft and behold your new items. I highly recommend backing up your Minecraft files! This includes your world save files and bin folder. If you haven\'t already, please read the file types and installing sections as a lot of it applies to this also. The other item you may want to backup is your Minecraft bin folder or jar file. There are several reasons to do this including accidentally updating your game version which breaks old mods or installing new mods that "black screen" the game. The bin folder is located in the main .minecraft directory like the world saves and contains the minecraft.jar and a few other files. I normally copy the whole bin folder when backing up but you may get away with just saving the jar file. Once you its copied just paste it to another location and you're set. Uploading a world save is just like downloading and installing, except you do the steps in reverse. This means you need to find the world save folder you want to upload, create a zip file with it, then upload it to a fire sharing site like mediafire. Once its uploaded you just need to copy and paste the link to the "world download url" field in your project. Schematic files can actually be uploaded directly to this site without having to use another host. This is a list of in-game mods that I routinely use to help create my projects. This is by no means a complete list and only includes the ones I find most useful. SinglePlayerCommands - Adds many different tools and commands to singleplayer. WorldEdit - Allows large scale in game world editing, creating and replacing. WorldEdit GUI - Adds a graphical selection element to the worldedit mod. TooManyItems - Gives a menu in the inventory screen with all in-game items and codes. These are a few external programs that I find useful and commonly use. MCEdit - A building and editing tool that excels at importing schematics. WorldPainter - A powerful tool used to create custom terrain at almost any size. Eihort - An OpenGL world viewer great for long distance views with no fog. Cartograph - Another world viewer with lots of rendering options. 7-Zip - A free file archiver that allows you to zip and extract your files. This section contains tutorials that will require more than just a basic understand of how to play the game. 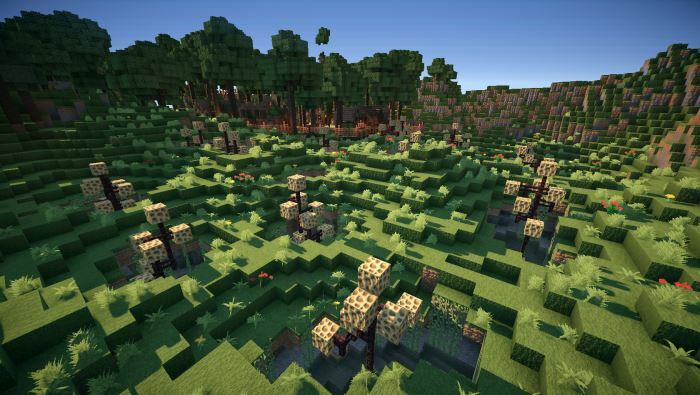 They majority of them will feature tips and ideas that are primarily focused on map making, or general Minecraft editing tools.